This complete guide to saving and maximizing your sight is a must for your reference library. 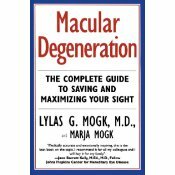 The text is filled will important information about Macular Degeneration. There is also a section covering an assortment of helpful suggestions for re-arranging your surroundings to maximize your efforts in every day living.